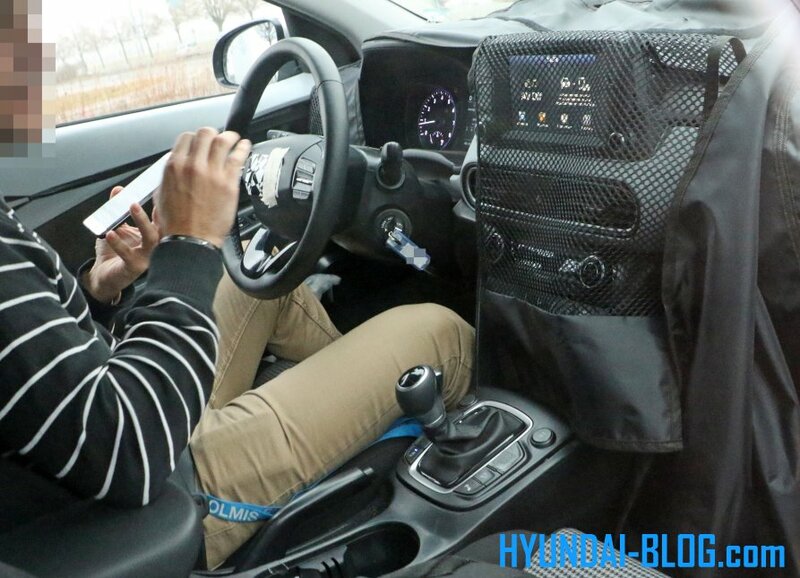 The idea that Hyundai might someday deliver a small crossover vehicle came around over 2 years ago, when Hyundai Motor America CEO Dave Zuchowski spoke about plans to launch a high-riding B-segment model. Zuchowski has reiterated the fact that Hyundai will be delivering a rival to the Nissan Juke, with the as yet unnamed vehicle scheduled to be available by early 2018. If that is the case, we should see it shown off before the end of the year. 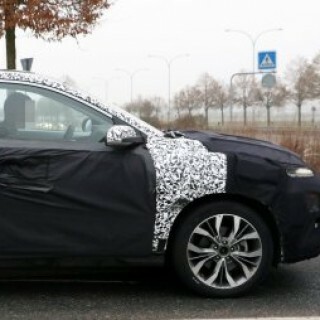 The project is definitely making progress, to the point where a rather oddly styled small Hyundai SUV was spotted being tested in Europe. The vehicle is still under a lot of camo, but it’s obvious that this is a neat-production model, and we have to say that the styling is really rather funky. What exactly can we expect from the new crossover? By all accounts, the exterior of the new model draws inspiration from the Intrado concept shown off in Geneva back in 2014. When the concept model was unveiled by Hyundai, it was used to show the evolution of the “Fluidic Sculpture” design language. 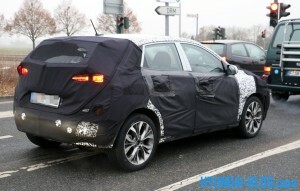 That said, there is a better than average chance that this model will take some design cues from both the i30 and the Tucson. 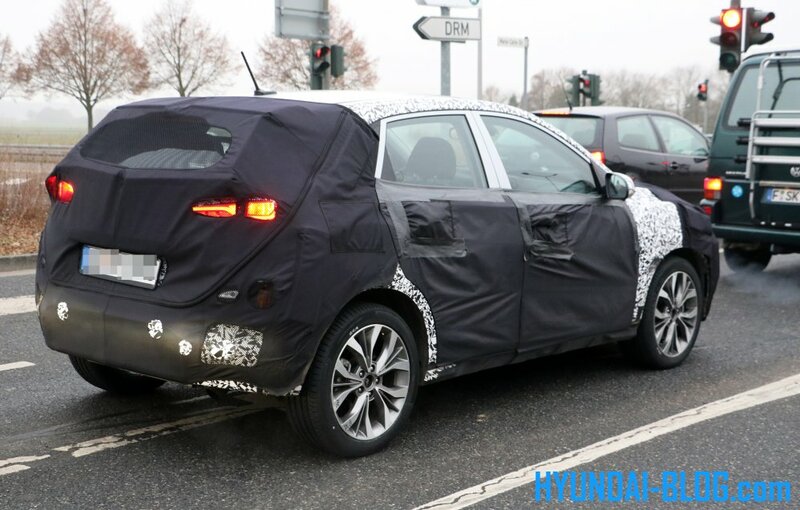 Most of the rear of the car is covered, but we can make out taillights that are wide, and which are sitting high up, which makes us think of the lighting set-up on the 120 5-door and the i20 Active. 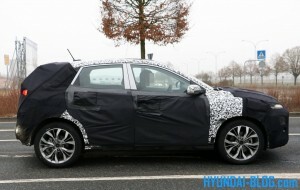 The latest Hyundai small SUV spy shots also include some images of the interior. While the dashboard is partially covered by mesh, there is still plenty to see, including a good look at the touchscreen display, the climate control dials, and the center-mounted air vents. Besides that, we can see that there is an analog design to the instrument dials, and what appears to be a rectangular display in the middle for trip computer information. 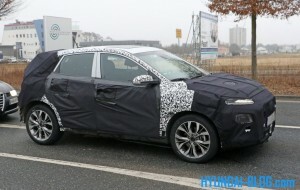 As far as the platform goes, it is expected that the new small SUV will get many of the same chassis components found on the European-spec i20 hatchback. The engine line-up will vary depending on the market, but expect the base engine to be the 1.0-liter 3-cylinder turbo that comes in 100-hp and 120-hp variants. There is also the chance that higher trim levels might be equipped with the same 1.4-liter found in the third-generation i30, which cranks out 138-hp. The European model will almost certainly come with a diesel option, which is likely to be a coin flip between the 1.4-liter and the 1.6-liter CRDi, and possibly both. The chances of a diesel engine or a 3-cylinder engine being made available in the US seem quite remote. 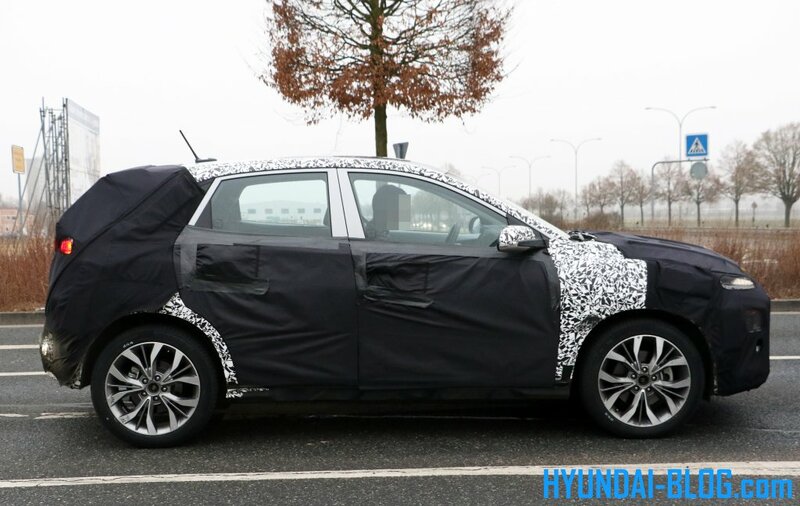 No word yet from Hyundai on whether this new model will be strictly FWD, or whether an AWD option might be made available on higher trim levels. 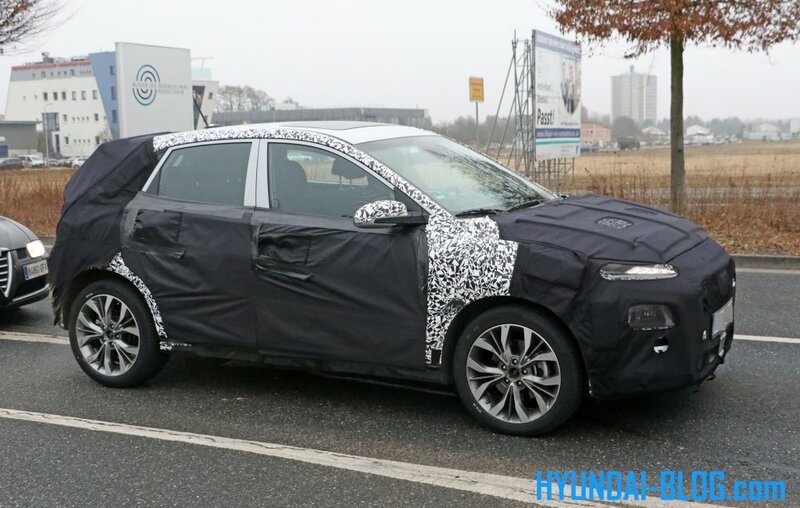 Also not yet known are the official release dates for the US and European models, but from what we have learned out of Korea, Hyundai plan on launching the crossover in the second half of this year.